Stay Focused. 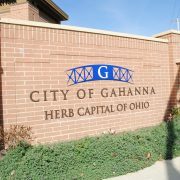 All viewpoints are welcome, but comments should remain relevant to the social media platforms maintained by the City of Gahanna. Be Respectful.​ Personal attacks, profanity, and aggressive language is prohibited. Instigating arguments in a disrespectful manner is also prohibited on the City’s social media platforms. Tell the truth.​ Purposefully providing false information, or the intent to mislead fans/followers is prohibited. If you have questions about information, please contact the appropriate City department or the Mayor’s office directly to get the facts before posting incorrect or misleading information on the City’s social media platforms. No spam.​ Repeated posting of identical or very similar content advertising or promoting services or products on the City’s social media platforms is prohibited and is subject to removal. Partisan political views or views of a political organization. Discriminatory, racist, offensive, obscene, threatening, inflammatory, unlawful, or otherwise objectionable statements, language or content. Content that infringes on copyright or trademarks. Explanation of deletion may be provided. We reserve the right to block or delete offenders of this policy. Help Us Maintain a Pollinator Habitat in Gahanna! This past spring Mayor Tom Kneeland signed a proclamation making Gahanna a Pollinator Community. This initiative is important because pollinators are threatened with a loss of habitat and food sources. A pollinator is any animal that visits plants and moves pollen. Bees and butterflies are among the most popular pollinators, but beetles, bats, flies, hummingbirds and moths are others. Pollinators are essential for human, animal and plant survival. We can thank pollinators for one out of every three bites of food we eat. As a Pollinator Community, the City of Gahanna is taking many steps to create pollinator-friendly habitats and to help ensure the survival of vital animal species, improve regional food production and stimulate the local economy. The City’s Department of Parks & Recreation is renovating existing flower beds and planting perennial pollinator plant species to attract and support pollinator populations. Some of the installations include gardens at McCorkle Park, Creekside Park/Plaza, the Geroux Herb Garden at City Hall, Gahanna Swimming Pool and Veteran’s Plaza. The department also continues to remove invasive species like honeysuckle, privet and grapevine so native plants have space to grow. Pollinators and native species are adapted to one another making them a natural fit for pollinators to collect pollen and nectar. Other forthcoming initiatives include the installation and maintenance of three active bee hives at various locations throughout. Also, the City plans to landscape the newly opened roundabouts on Hamilton Road in Gahanna to create pollinator habitats. According to City of Gahanna Parks & Recreation Horticultural Coordinator, Shannon Barnett, homeowners, too, can take practical steps to create their own pollinator habitats like planting native species with a variety of colors and a broad range of bloom times throughout the season, so there is always a pollinator food source. Growing herbs such as parsley, fennel and dill can also provide food for caterpillars, thus supporting important butterfly and moth pollinators. 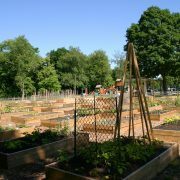 When several people in a neighborhood grow different kinds of herbs and flowering plants, it allows pollinators to have a variety of nutrition and shelter options available to them throughout the season. Starting with one small pot of rosemary can make a big difference for several kinds of pollinators. This fall, consider leaving tall fountain grasses rather than trimming down and leave fallen leaves in flower beds. These areas will become natural nesting habitats for pollinators like the praying mantis. Mayor Kneeland encourages all community groups, schools, and citizens to participate in activities promoting conservation and stewardship. To learn more about supporting pollinator environments, visit www.pollinator.org. Join the City in helping to maintain a healthy pollinator habitat in Gahanna! 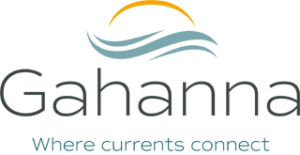 https://www.gahanna.gov/wp-content/uploads/2017/07/Community-Garden.jpg 2048 3072 Niel Jurist https://www.gahanna.gov/wp-content/uploads/2018/07/gahanna-header-logo-300x92.png Niel Jurist2017-07-19 19:58:182019-01-16 09:31:22Help Us Maintain a Pollinator Habitat in Gahanna!